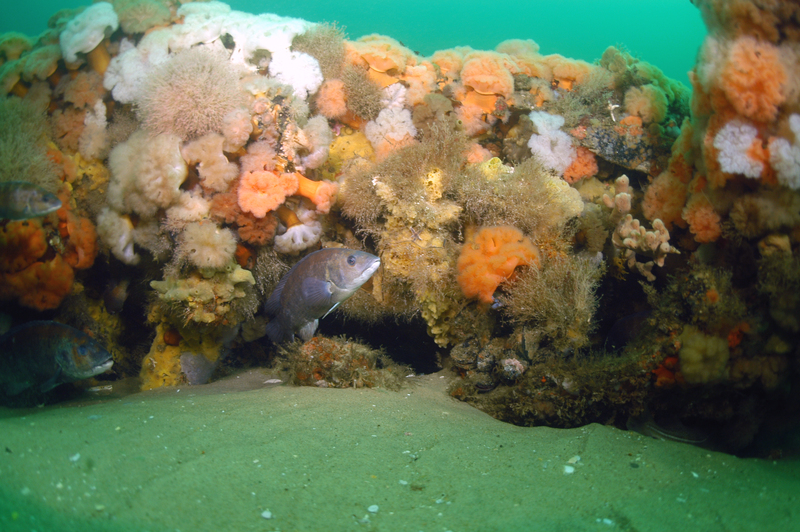 Photo: A cunner hides among the marine invertebrates covering the remains of a shipwreck in the sanctuary. Help us improve this website. Take this survey. We're jumping for joy! Stellwagen Bank National Marine Sanctuary was voted Best Place to See Aquatic Life in USA Today's latest 10-Best Reader's Choice travel awards contest. The sanctuary's popularity as a world-renowned whale watching site generated support from a wide ranging voting public. The consistent sightings and active behaviors of some of the largest animals on the planet make an ocean safari to Stellwagen Bank National Marine Sanctuary a trip to remember. Click here to read the story. In a separate poll, the sanctuary was chosen as one of the top attractions in Massachusetts. The National Marine Sanctuary Foundation and the sanctuary invite Individuals and organizations to submit proposals for education, outreach and conservation projects that involve recreational fishing. Total available funding is $10,000. Deadline is May 8, 2019. Click here for rules and a proposal template. If problems arise accessing the document, contact anne-marie.runfola@noaa.gov. The Stellwagen Bank National Marine Sanctuary's 56th Advisory Council will meet on Wednesday, May 22, 2019 at the Hilton Doubletree in Rockland MA. The public is invited to attend. The Agenda will be published in early May. The 2019 Marine Art Contest sponsored by Massachusetts Marine Educators and the sanctuary is now open. Click here for a copy of the rules and entry form. 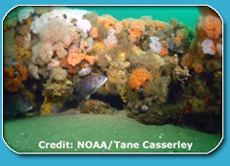 Deadline is April 26, 2019 and the theme is "Revealing the Biodiversity of Stellwagen Bank National Marine Sanctuary." Click here to view a listing of upcoming sanctuary programs and events. For the first time, international marine sanctuaries are joining together to protect a migratory marine mammal species – the humpback whale – on both ends of its range. Check today's weather and sea conditions in and near the sanctuary. Visit one of the sanctuary's exhibits or take a virtual tour. Hear sounds made by humans and whales in the marine environment. WHALE SENSE is a program for responsible whale-watching from Maine to Virginia. Stellwagen Bank was named one of the world's Top 10 Whale Watching Sites according to USA Today. 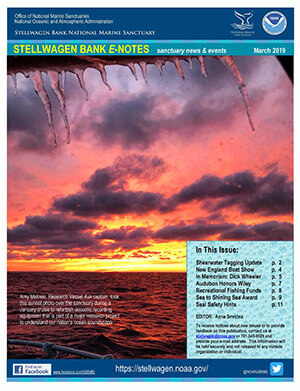 Download the latest issue of Stellwagen Bank E–Notes.